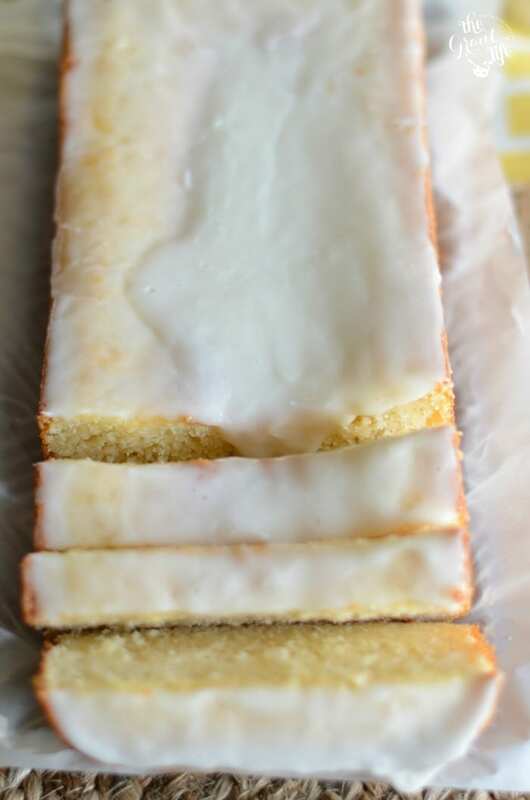 Love the lemon loaf from Starbucks? Make it at home with this easy copycat recipe! I still go on occasion but I have this weird obsession with re-creating their eats and drinks at home. 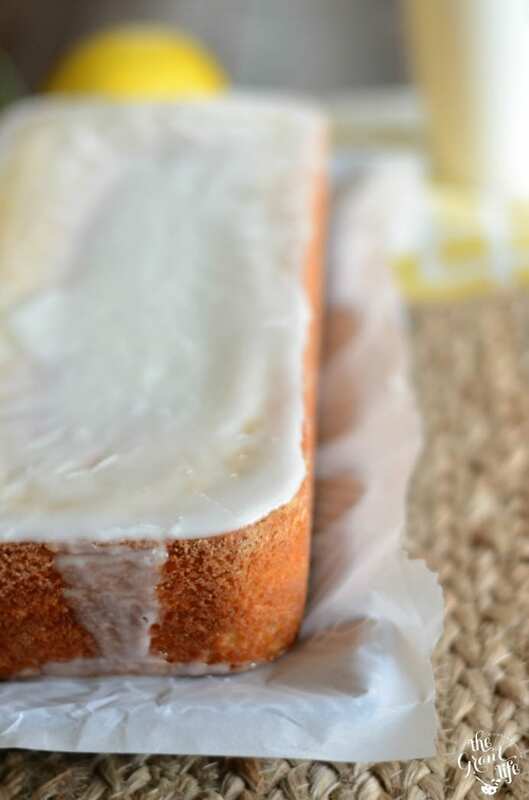 And since all three of my pregnancies have made me crave lemon and I love Starbucks and I want like re-creating their recipes at home – copycat lemon loaf! I remember with Ryley I wanted nothing but water with lemon. The more lemon the better. But not lemonade – just ice cold water with lemon. And literally minutes after I would have horrible heart burn. You know the kind that burns your throat? Yea, that. But I craved lemon water and I HAD TO HAVE IT. Burning throat and all. Avery was the same. I wanted all the lemon water I could get my hands on when I was pregnant with him. It was my absolute favorite. Thanks goodness for jumbo packages of Tums! And now? I still crave lemon this time around. Not as much as with the first two babes but I have a theory on that. This is the first that I’ve been pregnant AND blogging. I know it sounds silly but I see a lot of food every day. 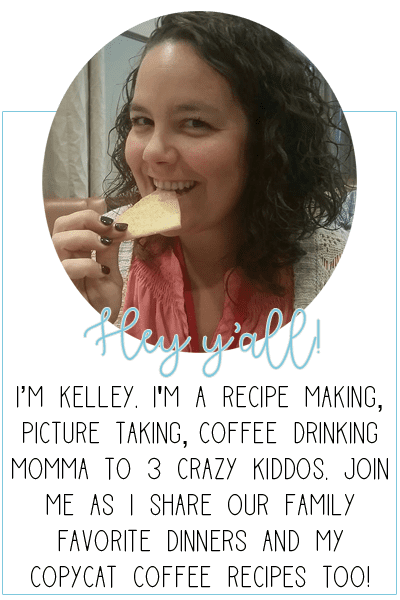 I like to share mouthwatering recipes on Facebook, Pinterest and Twitter. In order to do that I need a library of great recipes. And I have that! I have a stash of recipes just waiting to be shared with yall. Trouble with that is – I want all the food! My cravings change daily, sometimes hourly depending on what I stumble upon. One day I am all about fresh veggies, the next Mexican, and then sometimes just sweets. Trust me though – lemon is still up at the top! Which is why I needed to have this lemon loaf on hand at all times. 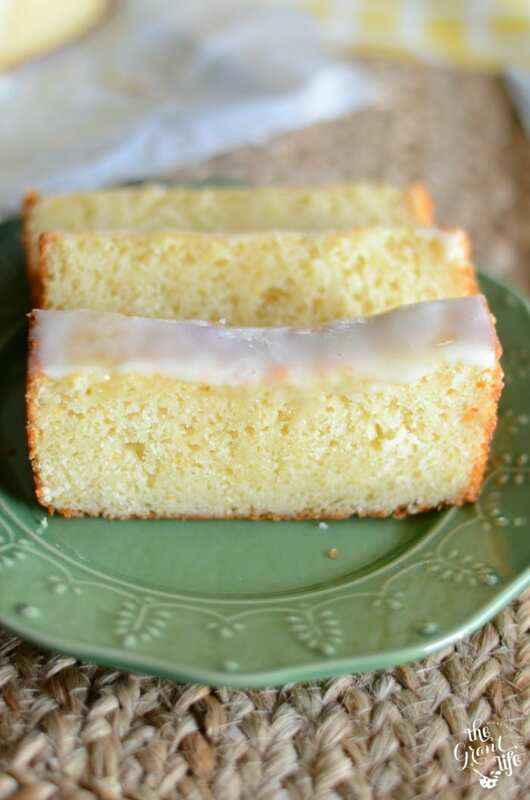 Just in case the need arises for a slice of lemon-y goodness without the hassle of getting dressed, loading the kids in the car and waiting in the drive thru. Preheat the oven to 350. Grease and flour a bread pan. (I used at 12x5). Mix together the flour, baking soda, baking powder and salt in a bowl. Set aside. In a stand mixer or with a handheld, whisk together the eggs, sugar, butter, vanilla extract, lemon extract and lemon juice. Add in the dry ingredients and mix until smooth. Slowly incorporate the buttermilk and lemon zest and blend well. Pour the mix into the prepared loaf pan and bake for 45-50 minutes or until a toothpick comes out clean in the center. Remove from oven and transfer to a wire rack to cool. Whisk together the powdered sugar, whole milk and lemon extract until you reach your desired consistency. Spread over cooled loaf and enjoy! 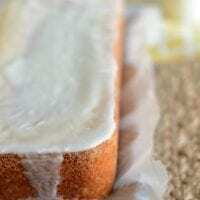 Store lemon loaf in the fridge for up to one week. This looks so yummy! Thanks for sharing, I’m excited to try this! Hoooray! Let me know how it turns out for you Nikki! I made it…it was horrible…it sunk in the middle…had too much Baking soda I think….the texture was awful and it didn’t have a lemony enough flavor….I don’t think I screwed up the recipe….but, It really didn’t work for me…..